The grow bed in an aquaponics system is potentially the most important part. Choose the right aquaponics growbed and your plants will flourish. If you don’t, you may find that your plants are struggling and don’t fulfill their potential. For example, a concrete based grow bed will change the pH of your water which could make it hard to create the right environment for your plants. But, perhaps, more importantly, the right grow bed will give your plants the space they need to flourish. The size of the grow bed and, therefore the growing space, is directly connected to the number of fish can have. Getting either of these elements wrong can result in not enough nutrients for the plants or the water not being fully cleaned for the fish. The grow bed is likely to be the largest part of your system, but this also the part that is going to give you the most rewards! Your growbed is responsible to house the nitrifying bacteria. If your growbed is too small (low surface area), the ammonia in your system will not convert to nitrates. What’s the purpose of a grow bed? Your grow bed needs to be the right size for your system. There is a direct connection between the size of your fish tank and the size of your grow bed. This is because the amount of fish waste will dictate how many plants can be grown and how well they will flourish. Fish produce ammonia, bacteria on your growing media convert this to nitrites and then nitrates; which the plants use as nutrition. Too many fish or too much fish food will equate to an excess of ammonia and nitrates; if you don’t have enough grow bed media then this will slowly poison the water for the fish. Too little fish and you won’t have enough nutrients for your plants! I would like to fill the media bed with expanded clay (hydroton). I look at the bullet-pointed list from before and see it has an SSA of 70 ft²/ft³. If we multiply 16ft³ by 70 ft²/ft³ we find a BSA of 1120 for the entire grow bed. Fish = BSA / 50ft² = 22 fish. You will need to give some room to these fish. A rate of 8 gallons per pound of fish is considered adequate. 22fish * 8gallons = 176 gallons. I need a tank of 176 gallons to house 22 fish with a 16ft³ hydroton filled growbed. The good news is that a cheap aquaponics growbed can be just as effective as an expensive one. The cost of the grow bed is not the deciding factor, it is the compatibility with your system that matters. But, you also need to consider the material your grow bed is made from. Water and the growing media can add up to considerable weight, your grow bed needs to be strong enough to handle this weight. Of course, it also needs to be waterproof, you don’t want the water leaking while you’re growing your plants. Your grow bed should be able to accommodate approximately 14 inches of growing media, this will ensure you can grow an array of different plants. Many people choose to add the grow bed to the top of the fish tank, this minimizes pipework and the space the system occupies. However, you should consider carefully if your tank is strong enough to support the grow bed; especially as you’ll want to get to the tank to check the fish periodically which means an access point that can weaken the tank base. 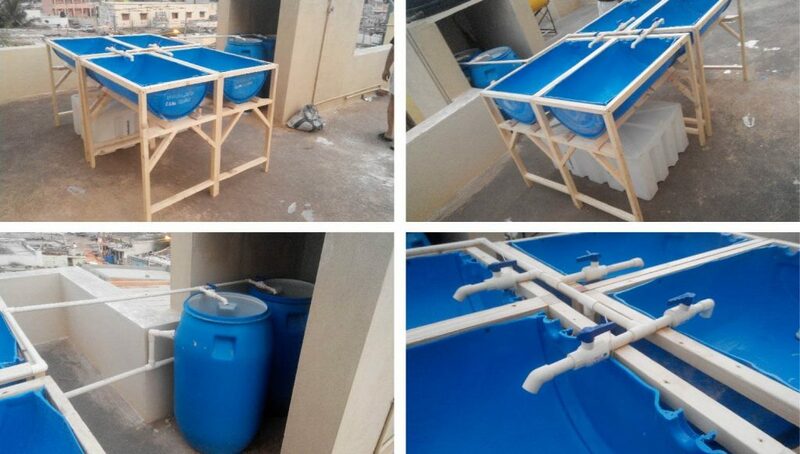 That’s not to say this isn’t a viable approach, what is known as the chop and flip approach to aquaponics is very effective; it simply involves chopping a third off the top of an IBC tote and inverting it to go on top of the lower part; using the original frame. Grow bed stands come in an array of shapes and sizes but allow you to use minimal space for your aquaponics system without risking the bed collapsing into the tank. It’s best to make your own grow bed stands from center blocks and strong wooden 2×4’s. Grab an IBC tote, you may even be able to get one for free. 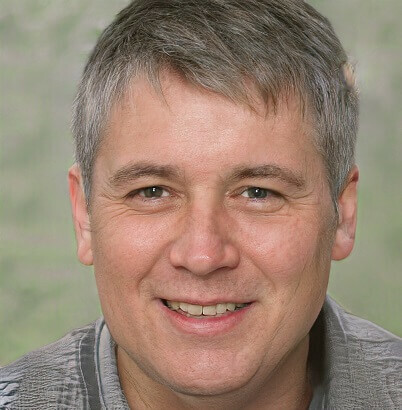 All you have to do is remove the frame, cut the top third off, and invert it. 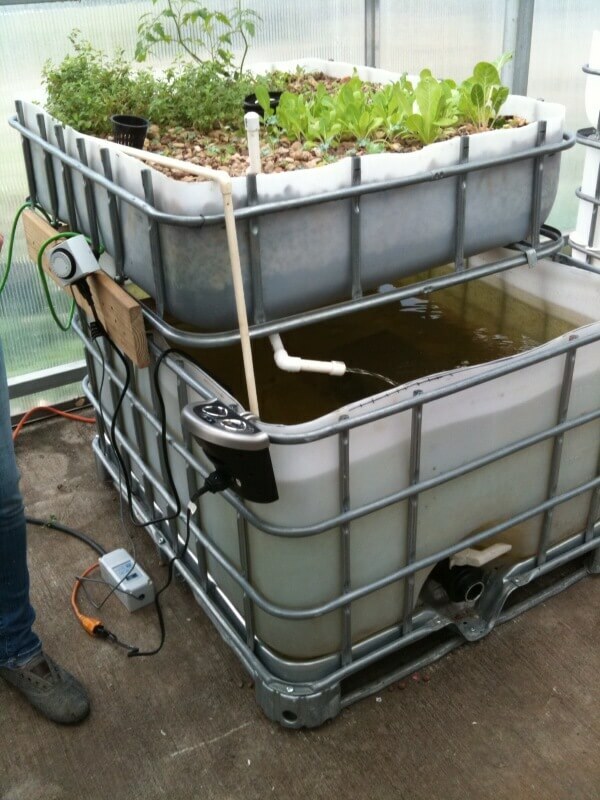 It can sit on the original frame giving you a grow bed and the rest of the IBC tote is the fish tank! This is another option which you should be able to pick-up for free. But, make sure that the barrel is completely clean first; you don’t want waste chemicals poisoning your new aquaponics grow bed. If you have some spare timber or are good at DIY then you can make your own timber frame system. 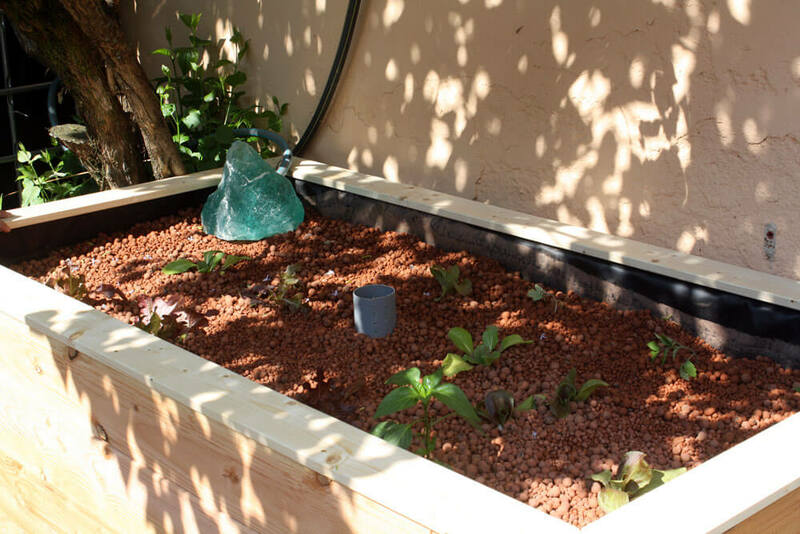 A simple frame can have a wooden floor and a plastic pond liner, ensuring the grow media and the water stay where they should be. If you’re feeling adventurous you can even create a fish tank from the same materials. The great thing is you can choose the size and shape. Any plastic tub that is free can also be used, although you may need to put several together to make a big enough grow bed. It depends on what you can find near you. An old rigid pond liner can also make a great fish tank or grow bed; depending on what you need. Don’t let concrete come in contact with the water. It will alter the pH of your system. You need a pump to take the water from the fish tank to your grow bed. But, the most effective way to return the water to the fish tank is via a siphon. The problem is that how do you know how many siphons you should be using? An IBC tote gives you a grow bed sat over your fish tank. One siphon should be more than adequate in this situation. An IBC growbed is approximately 16ft², any growbed that’s less than this can get away with fewer siphons. 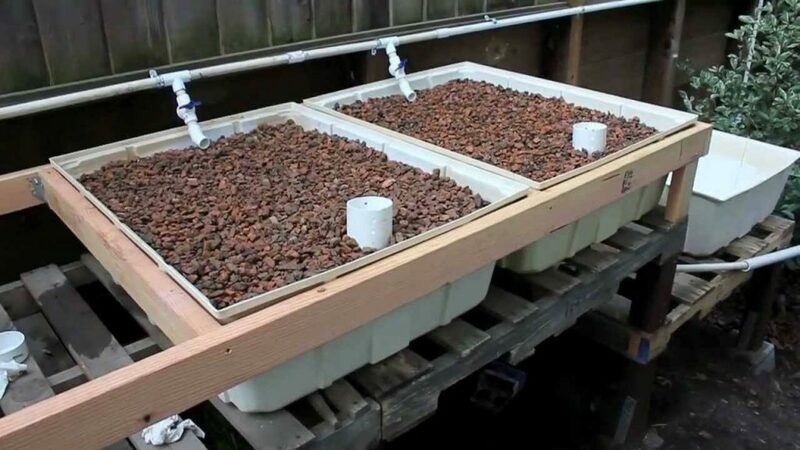 Take a look at this video and you’ll see that he uses one siphon for three growbeds. 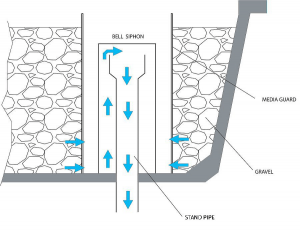 You can cut costs by only installing one siphon. The growbeds will take longer to fill and drain, therefore you need to make sure the water in your fish tank will cycle at least once every hour. You may also be wondering whether your grow bed will work better with an internal or external siphon. The best answer is internal simply because there are fewer connections to worry about leaks and it is harder to get the pressure right to get good drainage. Of course, either approach can work. Many people use external siphons when they are trying to link two or more grow beds together; it’s a cheaper option than one siphon in each grow bed. It is also generally easier to get to and maintain. Your decision will need to be based on the aquaponic grow bed or beds you’re hoping to establish. If you are just doing a small system, I would recommend using an internal siphon. Check out these commonly asked questions, if you still don’t know the answer you seek then contact me, I can help. How big should a grow bed be? It depends on your fish density and how big of a fish tank you got. Check the calculation mentioned in this article. You need to be able to cycle all the water from the fish tank into the growbeds and back within one hour or less. 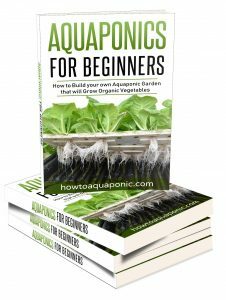 Of course, you don’t pump all the water in one go as it would kill the fish, but that’s a great basic principle to establish the size of your grow bed. You need approximately 12 inches of growing media in your growbed, plus a couple of inches to allow the flood and drain approach to be effective, without losing water or plants. The additional 2 inches also helps to prevent algae and fungal growth. You should, therefore, aim for 14 inches of depth for your grow bed. Any more is a waste and will make it more difficult to maintain your system. How often should I clean my growbed? 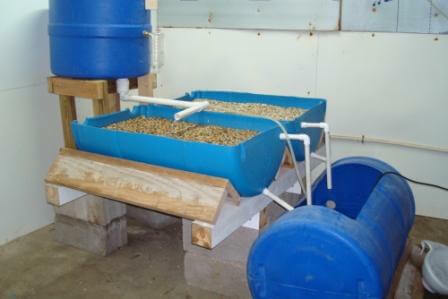 A well-maintained aquaponics system with a solids filter should look after itself. But, that doesn’t mean you’re never going to clean it; especially if you’re having problems with waste buildup or sluggish water movement then you’re going to need to flush the system. The best approach is to clean the system once a year. But, you’ll also need to look at why this is happening, the most common cause is due to a lack of worms in the grow bed or no filtration system to remove solids; overstocking your fish can also be an issue. 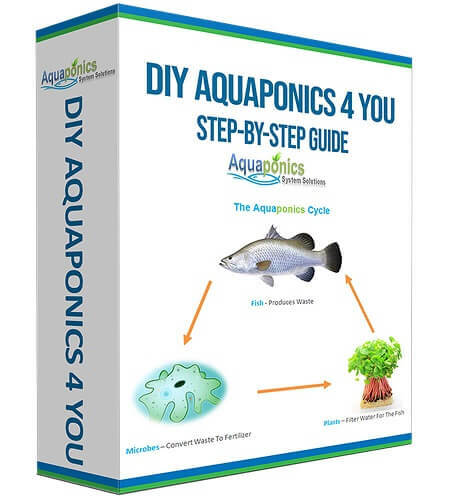 This prevents the bacteria in your aquaponics grow bed from converting all the waste products into nitrates and will create problems in your system.